In recent years, we’ve seen an emergence of enthusiasm for craft beer – brewed in small batches and small micro breweries. Craft beer has never been more popular. In keeping with the times, at Farm Stand we now offer as much as nine craft beers on draft. 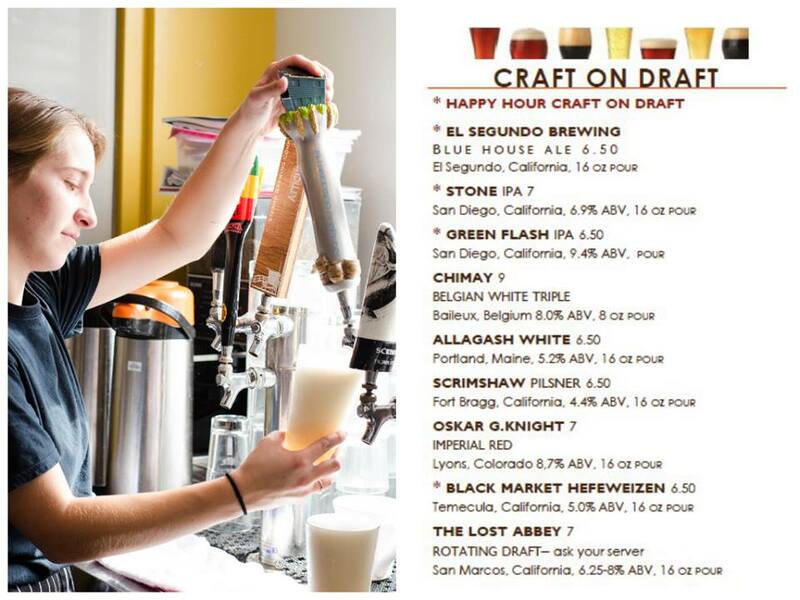 Our craft on draft includes beer from El Segundo Brewing, Stone, Strand, Eel River, Mad River, Chimay, Allagash, Cismontane, and Mother Earth Cali Creamin’. Best of all, every Wednesday and Thursday night, it’s 50% off all of our craft beers on draft. 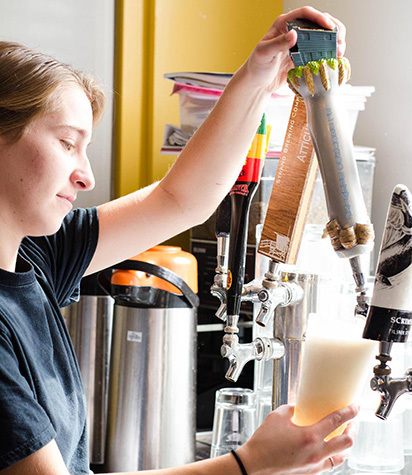 What craft beers would you like to see on draft at Farm Stand? Let us know in the comments. Cheers! Tags: bar, beer, craft beer, happy hour | Permalink. One of our favorite specials we have going on at Farm Stand is our Craft on Draft. We always get asked what beers pair best with our menu items. So, we decided to put together a little cheat sheet for you all! When it comes to cheeses, sandwiches, or pizza, our rule of thumb is that beer is one of the best matches for cheese. Almost any beer can be paired with almost any dish, whether it’s a cheese platter, pizza, sandwich. We think our Famous Melted Brie and Scrimshaw Pilsner make a fabulous pair. However, we recommend the stronger the cheese or flavor, the darker you go with your beer. When it comes to light dishes like chicken, seafood, pasta we recommend you go as light in flavor and color as possible. A light German lager or Belgian Saison with chicken or fish is perfect. We like the Chimay Belgian White Triple. Again, if creams or sauces are added you need a heavy, richer beer. Pasta is slightly more versatile but still pairs well with similar brews like blonde ales and German or American wheat ales, we like our Fettucine Papa Grande and the local El Segundo Brewing Blue House Ale. When feasting on red meats like burgers or steak, it’s best to find a beer that complements the bold, rich flavors. We have some great beers from The Lost Abbey on draught that pair well with practically anything, including our ½ pound All Natural Farm Burger. What are some of your other favorite beer pairings? Tags: beer, craft beer, pairings | Permalink.